For many years ISDN has been the preferred techology for sending high quality audio from one studio to another over copper pair telephone lines. It’s how CityVox and most studios connected to remote sites for many types of audio sessions. From its inception in the late 1980’s, ISDN has been used by recording studios and broadcasters all over the world for voice-overs, commercials and ADR (Automated Dialog Replacement). Starting about 10 years ago, the telephone companies began phasing out ISDN, causing studios to search out more modern technologies for remote audio connections. Experts warn that it is only a matter of a few more years before ISDN services will no longer be available. The GOOD news is that there are now a number of other options available, some of which are even free. SKYPE – A low or no cost way to connect a studio with a producer or another studio. The audio quality is much better than old fashioned telephone call quality, but not quite up to broadcast standards. This means it’s great for a remote producer to monitor and direct a session, but the full quality recording will still have to be sent via email or FTP. SKYPE uses the audio input and output connections of the host computer (or tablet) and is relatively easy to setup. You simply go to SKYPE Preferences and choose the audio paths that are available for your setup. Typically you can choose the built-in microphone or Line inputs and the Headphone jack or Speaker output. If you have a USB or Firewire audio interface connected, it too will be available. Source-Connect Now – For now it’s free – but eventually it will be a low ($10/month) cost service that can be thought of as SKYPE on steroids. Source Connect Now runs in the free Google Chrome internet browser. (Support for Safari and Internet Explorer may be added in the future). The audio quality is far superior to SKYPE. In fact at the available higher quality settings it’s actually superior to ISDN. So it’s a great low cost alternative to ISDN. Since Chrome is available for both Mac and PC each end can use the computer of their choice. One bonus: it has a built-in recorder. The great thing about Source-Connect Now is that you don’t need any special equipment at either end – only the free Chrome internet browser. One party simply sends a link to the other party via email and the session is setup with very little effort. The only requirement is that each side requires a “decent” internet connection. If your connection is fast enough to watch a NewFlix movie, then it can certainly handle the high quality settings of Source Connect Now. 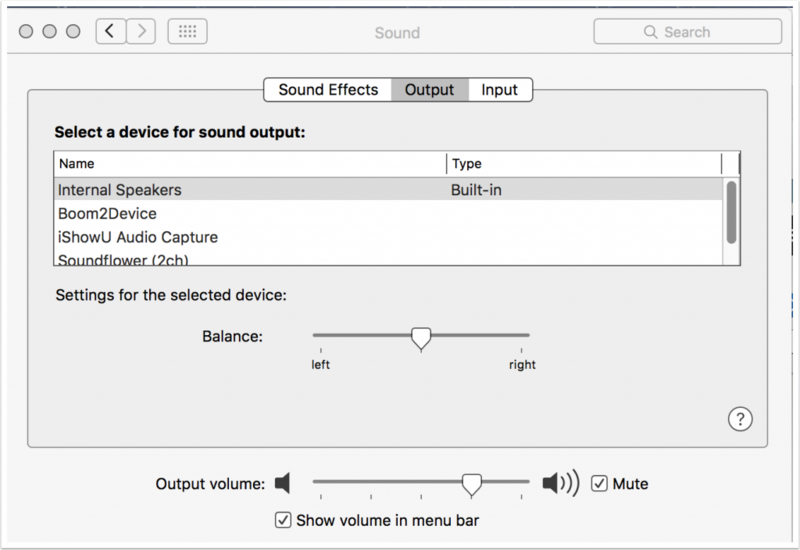 As far as audio hardware, it is essentially the same setup as SKYPE: you can select either the computer’s built-in audio input and output, or a USB or Firewire audio interface that is connected to the computer. So if you can use SKYPE with your setup, you can easily use Source-Connect Now. Source-Connect Pro – The next level up from Source-Connect Now. While the basic audio quality of Source-Connect Now is great it is limited to stereo (2 channel) operation, Source-Connect Pro adds multi-channel options as well as SMPTE Time Code for synchronization of video at both ends of the connection. This is great for studios to connect together for more sophiticated projects, i.e. ADR (automtated dialogue replacment) or surround sound projects. Source-Connect Pro does require the purchase of a software license, which is not required for voice-over work with Source Connect Now. A Google search for “ISDN alternatives” will return many additional options. Some of these are similar to Source-Connect Now and some are similar to the hardware CODECS that are used with ISDN but connect over the internet instead of ISDN lines. These are usually quite expensive and require a lot more expertise to setup. Because of the low cost and ease of setting up Source Connect Now, CityVox is encouraging our clients to consider using it as a simple and high quality alternative to ISDN. Other than downloading and following the installation instructions there is nothing else to do as far as setup in Chrome is concerned. 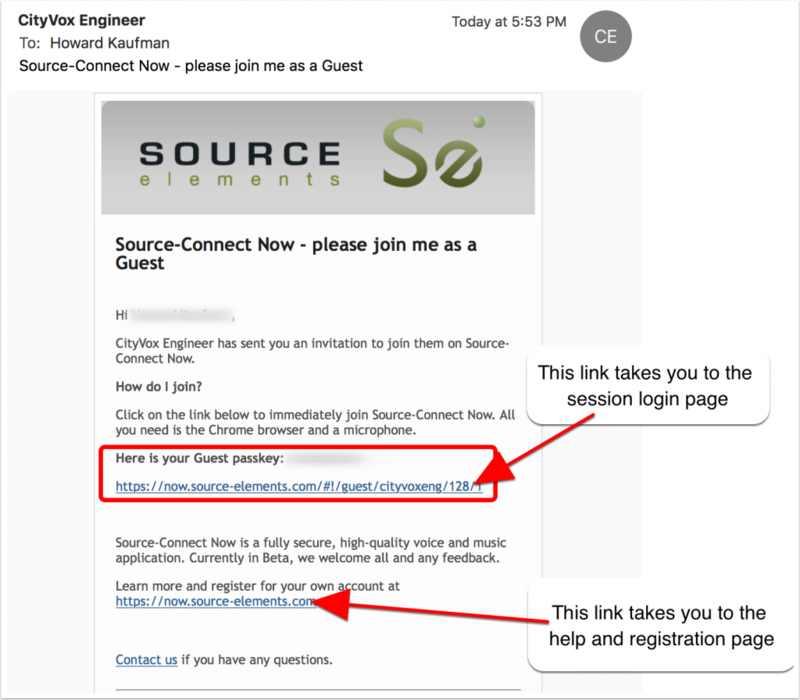 If you are receiving an invitation to a session then the email will have a link that takes you to the login page. In that case you don’t have to setup your own account. 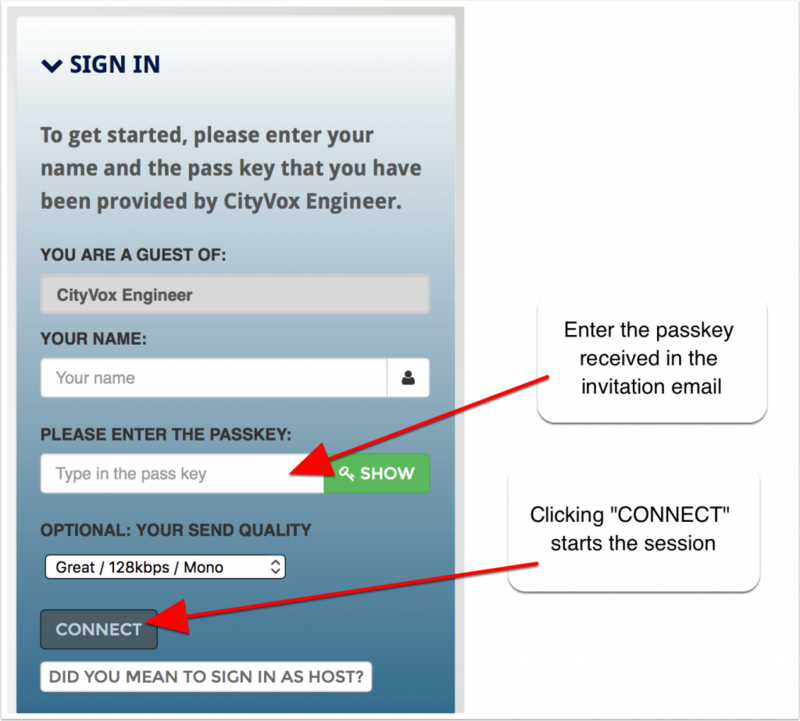 You just need to type in your name and passkey (which you received in the email inviation. Then click connect and the connection is setup up automatically.